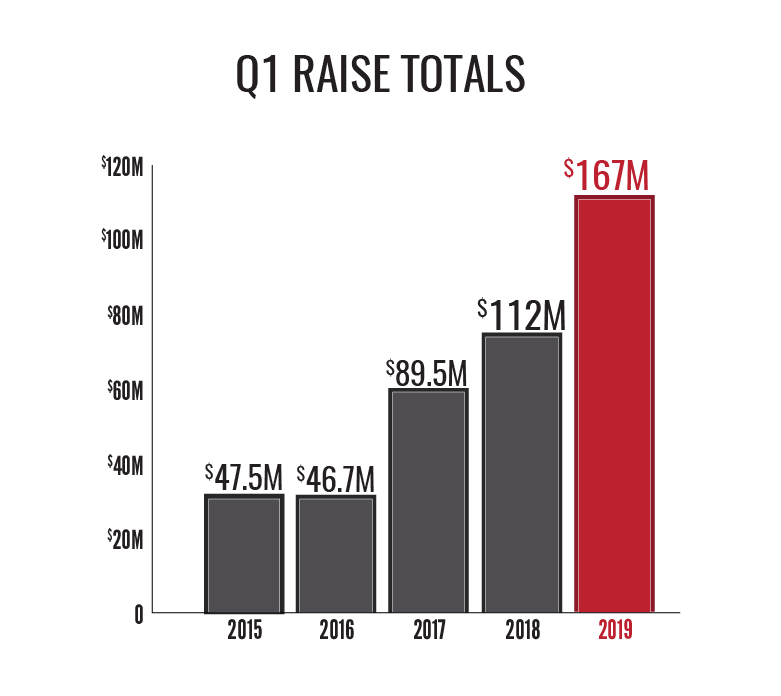 After setting a record with their best-ever Q1 in 2018, Medical Alley startup companies didn’t just set the record again, they shattered it! 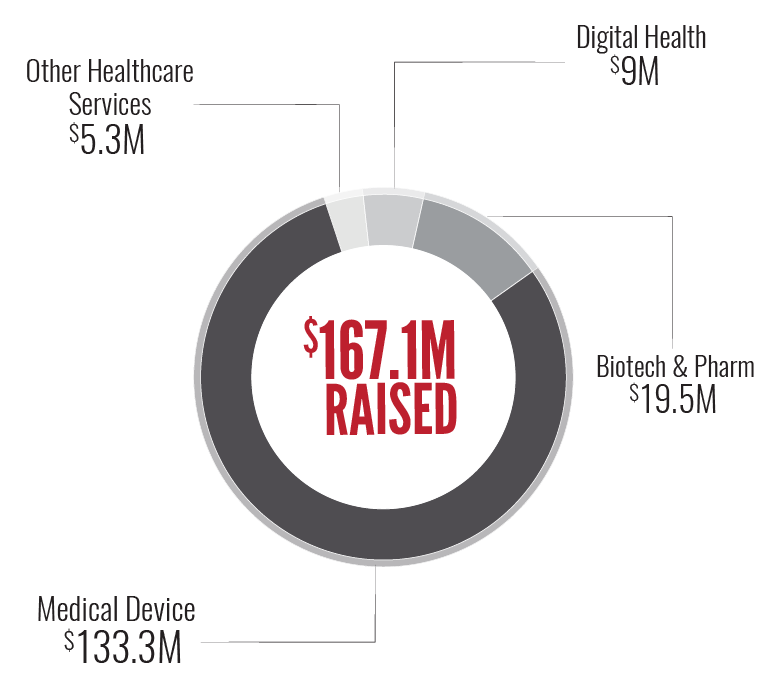 For the third consecutive year, Medical Alley startup and growth-stage companies broke the previous record for money raised in the first quarter thanks in large part to a surge in medical device investment. MAA members led the way as the five largest raises this quarter all came from MAA member companies. Seven of the 10 largest raises of the quarter came from medical device companies, which propelled the sector to its best first quarter on record, nearly doubling the second-best total. The funded companies produce products ranging from cardiopulmonary intervention devices to novel orthopedic treatments for both chronic and acute conditions. 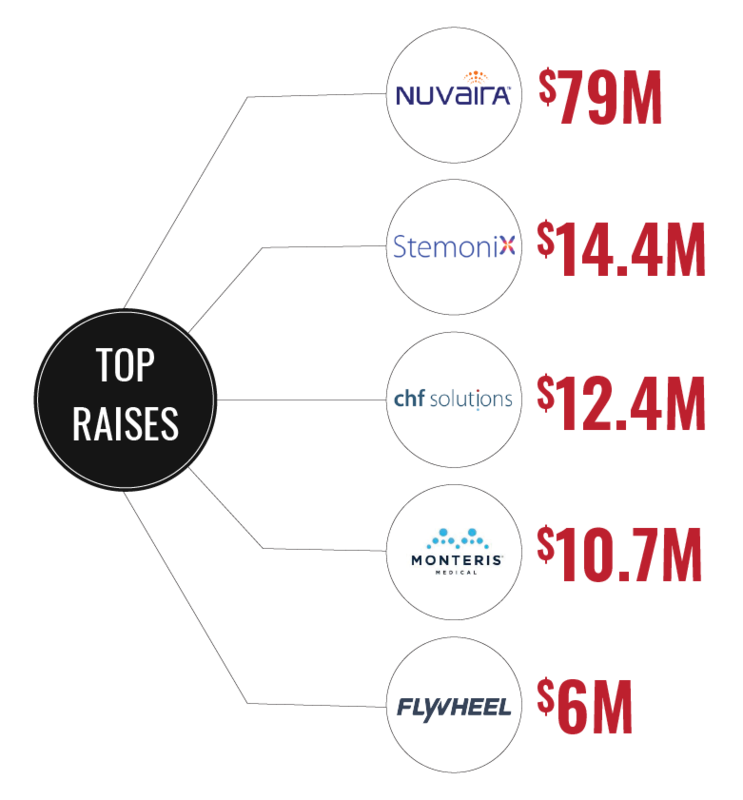 Nuvaira’s first-of-its-kind COPD treatment captured investors’ attention and netted the company a quarter-best $79 million, which the company will use to navigate the FDA approval process. Personalized medicine and innovative genomics startup Stemonix took in nearly $15 million, adding the Mayo Clinic to its already impressive list of investors. 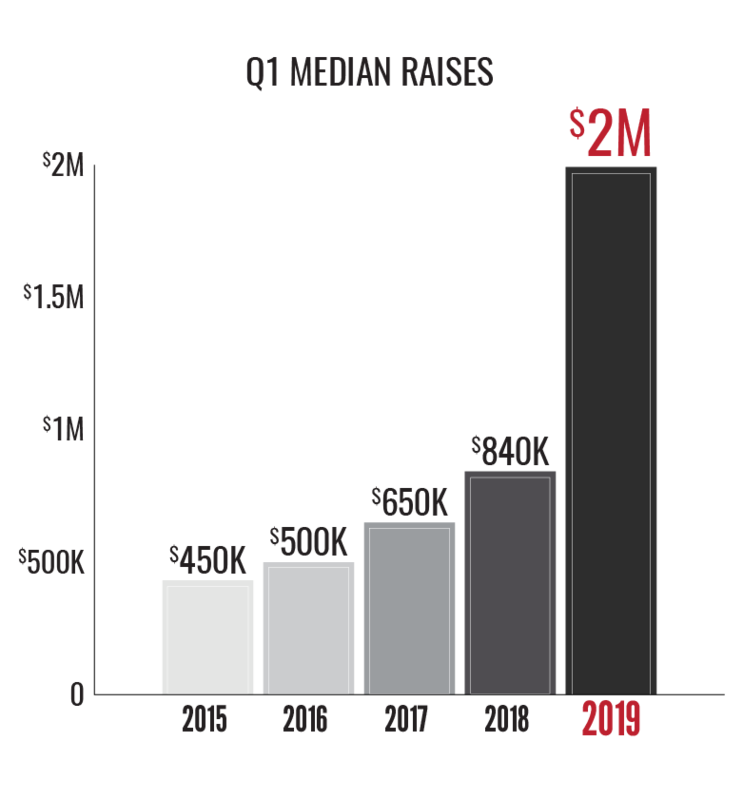 Further showing the strength of the Medical Alley growth-stage community is the $2 million median raise, which shattered the previous record for Q1’s median raises; in fact, this Q1 was better than any two first quarters since we began recording data. Taken in the context of stellar years in 2017 and 2018, it is clear that Medical Alley’s startup community – already a huge asset – has taken a step forward and become even more widely known and respected.